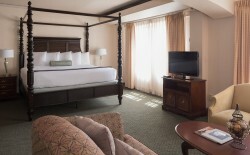 The Inn at Virginia Mason offers a variety of rooms to meet your needs. The newly refreshed décor and comfortable furnishings enhance the historic charm of this neighborhood gem. 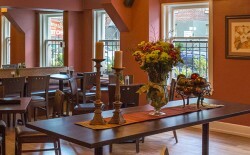 The Rhododendron Café is open for breakfast, lunch and dinner, with a full-service bar and popular after-work Happy Hour. And our courtyard is a perfect for outdoor dining! 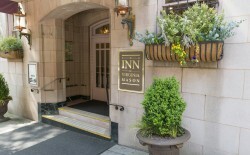 Adjacent to Virginia Mason Hospital and other First Hill medical facilities, The Inn is within easy walking distance to downtown shopping, theaters and the Washington State Convention Center. Connected to the Virginia Mason Seattle Hospital on First Hill, The Inn at Virginia Mason offers a caring environment to patients and their families and an affordable option to ensure a hassle-free stay.